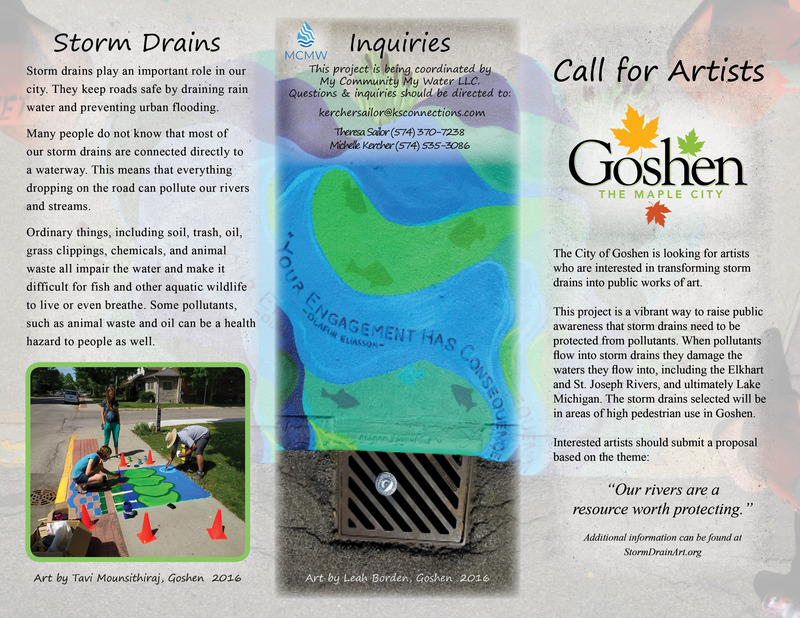 The City of Goshen Stormwater Management Department decided to combine Goshen's love for art with stormwater and is happy to announce the 2018 Storm Drain Art Project. For more information on this project and to see pictures of the storm drain art murals visit StormDrainArt.org. 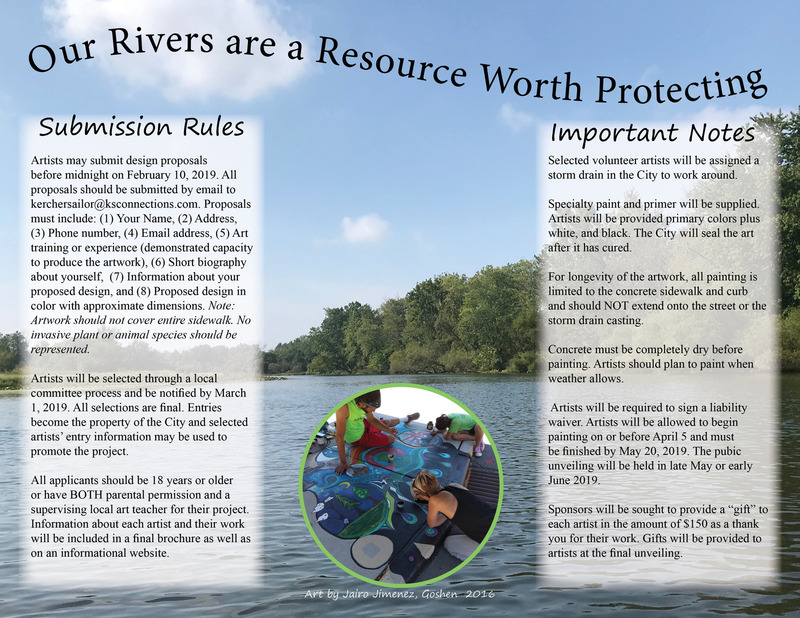 Click here for a PDF brochure of the following information. For information on the 2016 Storm Drain Art Walk click here. 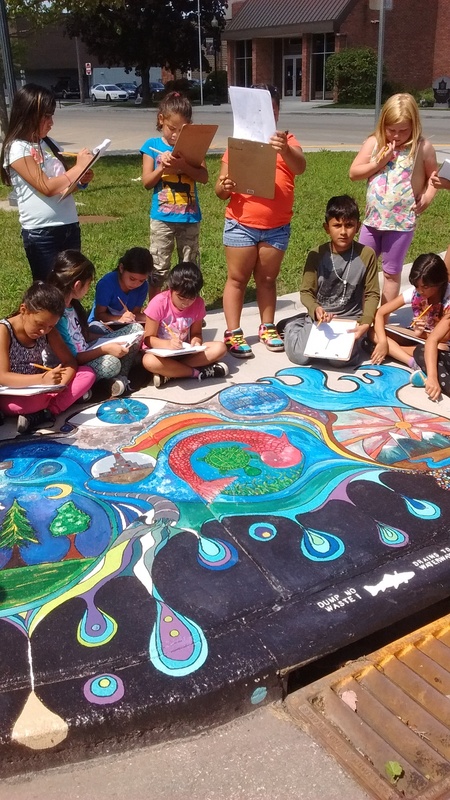 These students from Chandler Elementary School spent the afternoon learning about stormwater, storm drains, and the beautiful storm drain art along 5th Street in 2016. Storm drains play an important role in our City. They keep our roads safe by draining rainwater and snowmelt and preventing flooding. Many people do not know that most of our storm drains are connected directly to a local waterway (e.g. Rock Run Creek or the Elkhart River). This means everything dropped on the road can pollute our streams and river. Potential pollutants like soil, trash, oil, grass clippings, and animal waste (e.g. dog poop) all impair the water and make it tough for fish and other wildlife to live. Some pollutants, like poop and oil, can become health hazards for people as well.